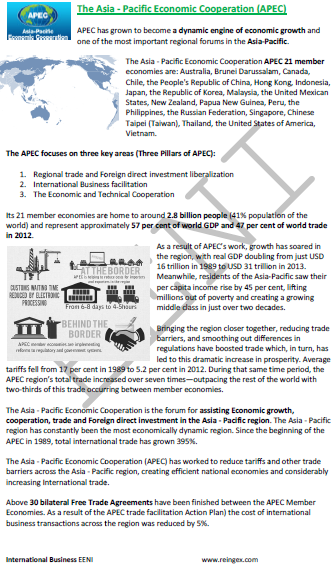 Syllabus of the Online Course (Subject): Foreign Trade and Business in Papua New Guinea. Port Moresby. 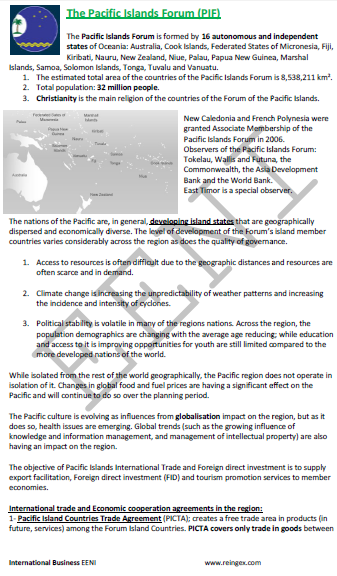 Doctorate and Master of Science in International Business for Papua New Guinean students. 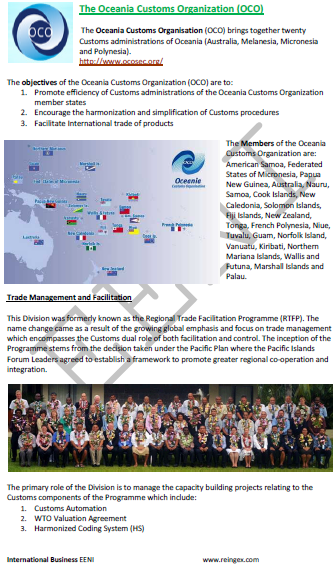 Description of the Online Course: Foreign Trade and Business in Papua New Guinea. 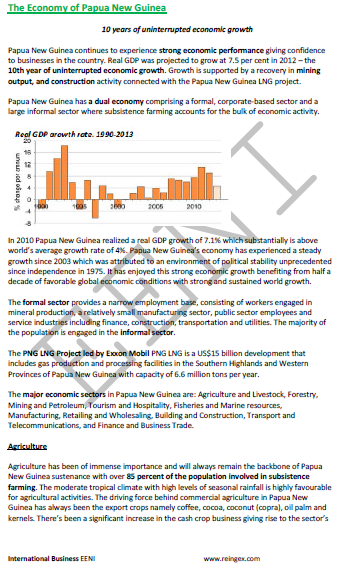 Papua: a decade of uninterrupted economic growth. International Trade of Papua New Guinea. 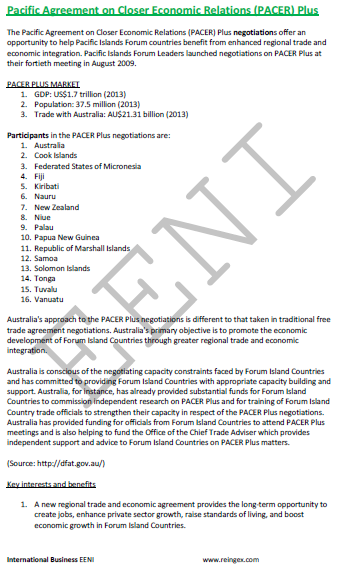 The Government of Papua New Guinea is promoting Foreign direct investment (FDI). The Investment Promotion Authority of Papua is the agency focused on attracting new foreign investors to Papua New Guinea. 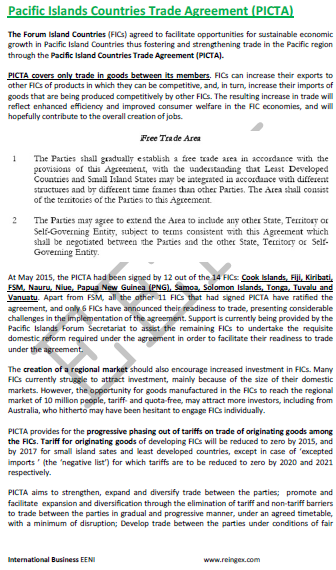 Pacific Island Countries Trade Agreement (PICTA).